This is that rarest of things, a sensational looking new Breitling. 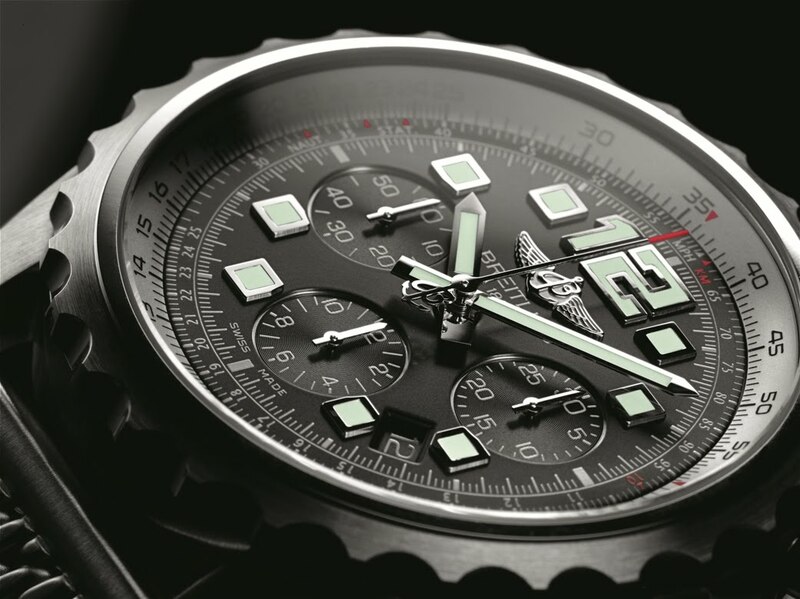 This is the all new 46mm Chronospace Automatic from Breitling, an authentic pilot’s instrument distinguished not only by its performance but this time around by its clean and uncluttered look. Too many Breitlings have just too many things going on to make them look elegant, but the new Chronospace Automatic has managed it. The star-shaped design of the bidirectional rotating bezel makes accurate handling of the circular slide rule easy to perform during in flight navigation. 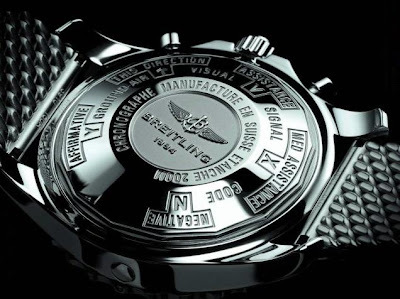 The oversized 12 o’clock numeral, the square hour-markers and the oversized hands, are all coated with superluminova to make night time reading in the darkened cockpit fast and accurate. The COSC-certified calibre 23 movement vibrates at 28,800. The unusual star-shaped rotating unidirectional bezel makes it easy to use even when wearing gloves, and provides assured handling of the circular slide rule. The dial and strap are available in four different versions according to taste, these include Volcano Black, Mariner Blue, Tungsten Gray and Stratus Silver and your choice of a rubber or the elegant mesh steel bracelet. The case is made of stainless steel with AR-coated sapphire crystal and is water resistant to 200 metres (600 ft) . 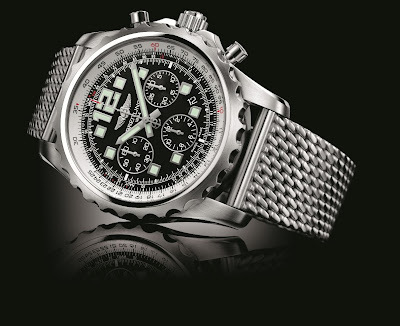 Look out for it when it’s officially launched next month at Baselworld 2011. Movement: Breitling Calibre 23, officially chronometer-certified by the COSC, self-winding, high frequency (28,800 vibrations per hour), 25 jewels. ¼th of a second chronograph, 30-minute and 12-hour totalizers. Calendar. Case: Steel. Water-resistant to 200 m (660 ft/20 bars).Screw-locked crown. Cambered sapphire crystal, glareproofed on both sides. Bidirectional rotating pinion bezel (slide rule). Screwed in caseback. Straps/Bracelet: Leather, Rubber Diver Pro (with raised central ridge), Ocean Racer rubber (perforated)/Aero Classic in woven steel.